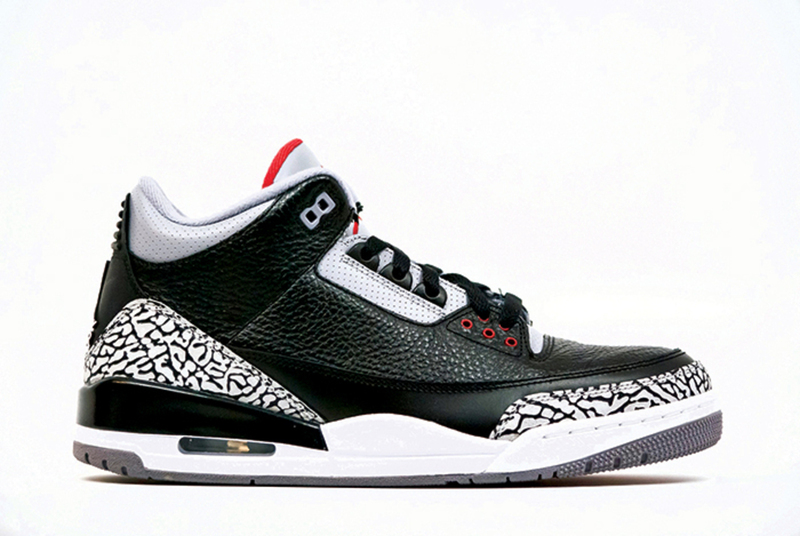 Nike Air Jordan 3 Retro Black Cement CDP, 2008. BENJAMIN KAPELUSHNIK’S homegrown business has generated nearly a million dollars in profit, which would be impressive even if he wasn’t turning seventeen this month. But the Miami teen’s payday was only a tiny slice of the market he trades in, which experts estimate to be worth $1.2 billion: the secondary market for sneakers. Long an infamous, informal, and often underground enterprise, buying and selling sneakers has become big business, enticing not just the likes of the “Sneaker Don,” as Kapelushnik is known, but economists, technology executives, and venture capitalists. No one has examined sneaker sales more carefully than data analyst and self-described sneaker addict Josh Luber, who (in collaboration with Dan Gilbert, Quicken Loans founder and majority owner of the Cleveland Cavaliers) launched StockX, an online sneaker marketplace, this past February. As Luber explained in the TED talk he gave shortly before the launch, sneakers represent a unique economic opportunity. Using both the stock market and the illegal drug trade as points of comparison, he argued that sneakers represent an appealing hybrid of bothcompletely unregulated, yet entirely legal. In fact, he posited, the sneaker resale market is one of the largest legal unregulated markets in the world. But here Luber missed an improbable although not irrelevant parallel that can be drawn to another, even larger, secondary market, likewise largely unregulated yet ostensibly lawful: the one for art. StockX is no ordinary marketplace for secondhand apparel. There is only one kind of shoe available: deadstock sneakers. Deadstock once meant something as dismal as it sounds: inventory that failed to sell on the primary market. But in the secondary marketplace, the term evolved into a valuable guarantee that an item is absolutely unused. Unlike eBay, which is flooded with imitations of all stripes, StockX vouches for the authenticity of each sneaker on its platform. Every pair that arrives at the company’s Detroit office is inspected by an “authentication team” of industry experts. Like art objects, deadstock sneakers exist outside of normal standards of use-value; as it is for art objects, authenticity is a crucial part of their worth. And like the art market, the sneaker resale trade is predicated on converting cultural cachet into economic value. No one has been more successful at this lucrative alchemy than Nike. In 2014, a staggering 96 percent of deadstock sneakers sold on the secondary market were Nikes, and the resale of these shoes alone generated a larger annual profit than the primary sales revenue of Nike’s closest competitor. We’re not talking about just any Nikes, eitherthe most sought after are, specifically, Air Jordans. Thirty-two years ago Nike created the Air Jordan 1 (boasting the “Air” technology that debuted in 1982 as the Air Force 1) for Chicago Bulls rookie shooting guard Michael Jordan in the now-iconic black and red (BRED, to sneakerheads) of his team. Jordan signed a two-and-a-half-million dollar endorsement contract with the brand, and supposedly paid a five thousand dollar fine per game because the shoes violated the NBA uniform regulations of the time. Within the next few years, the Air Jordan would revolutionize not just the way sneakers were bought, sold, and marketed but what they meant. Luber, in fact, declared the Air Jordan 3 Black Cement, released in 1988 (and the first shoe to feature the iconic “Jumpman” logo, now synonymous with the Jordan brand), to be the most important sneaker of all time: the iPhone of athletic shoes. This analogy might seem far-fetched, but in 2016 alone Nike’s revenue from the Jordan label grew 18 percent, to $2.8 billion. In developing the Air Jordan, Nike was both following and actively accelerating broader cultural shifts. During the late 1970s, the NBA faced a crisis of declining attendance, television viewership, and public interest, partially attributed to the league’s predominantly white audience’s inability to relate to its predominantly black players (and to scandals ranging from misappropriation of funds to drug use). At this pivotal moment, the transcendent talent, brash charisma, and distinct sartorial sensibility of MJ was, for both the NBA and for Nike, a golden opportunity. Just as you can’t understand the rise of sneakers without basketball (the link spread far beyond Jordan to celebrity-esque player cliques like the University of Michigan’s “Fab Five”), you can’t understand sneakerheads without hip-hop. The ascent of the sneaker is inseparable from the global mediatization of any number of formerly underground cultureswild style, skateboarding, graffitiall broadcast to a vast new MTV generation, and all linked to the mass-marketing of African American and so-called “urban” culture. Jordan brand reps compiled their own promotional playlists, distributed via cassette, to accompany launches of new sneakers, just as competitor AND1’s video “mixtapes” of the late ’90s and early ’00slow-res montages of neighborhood players’ most impressive moveswere set to the sounds of MCs from EPMD, Kurupt, and Snoop Dogg to GZA, Mos Def, and Talib Kweli. Erin O. Patton, a trend forecaster and the brand architect for Jordan, has argued that the term urban itself can no longerat least for marketing purposesbe considered a qualitative demographic; rather, urban is a mind-set, shaped by hip-hop and by basketball, and relevant to countless consumers with little if any connection to the city, whether in terms of political and economic realities or social and cultural experiences. One only need look to the arc of Mars Blackmon, Spike Lee’s character in his 1986 film She’s Gotta Have Ita Brooklyn-born sports fanatic never seen without an oversize nameplate and a crisp pair of Js. Mars appeared in countless Jordan commercials, a partnership set in motion by Nike’s longtime ad agency Wieden+Kennedy. Twenty years later, the brand released the whimsical hybrid kick the “Spiz’ike” in his honor. The paradox of activist filmmaker as paid spokesman is typical of Nike’s canny corporatization of niche style: What social scientists and cultural critics bemoan as “appropriation” is simply “crossover marketing” to businesses. Yet, somehow, the sneaker evades pretension. Somewhere between luxury’s superfluity and ever-elusive authenticitybetween the hostility of urban space, of youth, of necessity and resistance, scarcity and excessis a vitality that remains endlessly attractive, continually co-opted by brands and their “culture” campaigns. But the co-optation works both ways. Sportswear retailers in a suburban mall or upscale athleisure boutique alike can perversely hawk the trappings of utility and crediblity; in the end, the shoeonce pragmatic, lowlyweaves a reverie of collective identity. The sneaker, like art, crystallizes something ineffableand that aura, we might even call it, is what Nike masterfully leveraged into booming primary and secondary markets, and which StockX aims to monetize in an unprecedented way. Luber began work on what ultimately became StockX while he was a strategy consultant at IBM, and his approach is grounded in data analytics. A key claim behind StockX is that by recording data about all previous transactions, the website can produce a reliable real-time guide to sneaker value. Log on to the StockX home page and you will find exhaustive and up-to-the-minute price records, with which users can manage their “sneaker portfolios.” Previously, sneakers’ untrackable circulation made it nearly impossible to assign them value, and easy for sellers on auction-based platforms to command prices. StockX intends to assuage this volatility, creating a transaction that is fundamentally opposed to user incentives on auction-based sites, where sellers and buyers each hope to outsmart the other. But in the sale of a collectible item, is either party really interested in transparency? I recently came across a pair of egregiously mislisted and underpriced 2012 Nike Air Polarized Pink Foamposites on eBay. The ill-tempered seller had received the shoes as a birthday present and was as eager to get rid of them as (s)he was blithely oblivious to their worth. I was thrilled: One (wo)man’s trash is another’s treasure. Luber seems to envision StockX as the blueprint for revolutionizing online commerce, streamlining, standardizing, and stabilizing it. But a certain degree of volatilityitself rooted in immaterial and deeply idiosyncratic valuesis part of what gives sneakers (and other collectibles like them, at all price ranges) their charge in the first place. Is it possible, in other words, to democratize a system that hinges on coola status and distinction whose very essence is predicated on hierarchy and imprecision? StockX allows a sneakerhead to put an “official” value on his or her collection, but it also devalues his or her expertise by removing the economic benefit of mastery and ceding the creation of value to professional industry experts and data analysts. Luber has acknowledged that part of the genius of Nike’s marketing strategy is the careful symbiosis between the primary and secondary sneaker markets, established without Nike’s official or public oversight of the latter. It’s simple: The secondary market drives demand so that Nike doesn’t have to and, equally important, doesn’t appear to exert itself in generating buzzthe ultimate expression of a laissez-faire consumer mandate. If Nike was able to preserve a kind of uneasy paradox by benefiting from the mystique of the secondary sneaker market without direct involvement, StockX’s attempts to comprehend and standardize that same market may be self-defeating. Perhaps the limitations of StockX are actually the same as those of online art platforms that aim to consolidate and quantify (via such promises of digital information processing as the “algorithm” or “genome”) some of the few cultural phenomena that defy those terms as soon as they are defined by them: desire, relevance, dissent. The structural basis of both the art and sneaker markets is a fundamentally restricted quantity of originals that drives an active, speculative secondary marketand in which the fundamental restriction is decoupled from materiality. There is no real shortage of paint or resin, or leather for uppers, or rubber for soles, to drag prices up and down like commodities. What keeps the market hot is an Ouroborosian brand fantasy of the “rare.” As a result, both have a high degree of liquidity and both have become ways of laundering currency into alternative, transnational assets that are easily bought and sold; global markets that defy prevailing economic models obliquely but legally. Here, the brand name and the endowed consumer good triumph, in a way, over the nation-state. But sneakers offer access to cultural participation and consumer citizenship in a way that artat least to the extent that it is often intentionally enmeshed in apparatuses of exclusivity, access, and, ultimately, classcannot. Teens in Moscow may not trust the ruble, but they can bank in retro Jordans. Those searching for collective interest and identity can buy it on a global platform where their “cash” is always good. 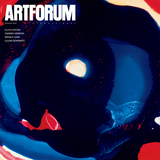 Isabel Flower is an assistant editor at Artforum.